One really very smart bartender who is something of amateur shroudie: What’ll it be today? Me: Bud Light and a Chili Colorado, no pun intended. Did you have a chance to look at the CS that we talked about? Bartender: Yes. I went to the chart you told me about [on page 73]. I picked the last item, Bone Structure [item B9.1]. It was one of only two items [out of 17] that the Colorado folk reckoned could not be produced by any other hypothesis other than Jackson’s Fall Through hypothesis that, by definition, is not a hypothesis. It can’t be tested. Note to readers: Bone Structure is listed in CS 3.0 as “Class 1 Evidence: This rating is given to items of evidence that are firmly supported by empirical and/ or forensic research. To receive this rating there must be multiple corroborating research sources.” Personally, I have my doubts as this conversation, which is a reconstruction and not a transcript, unfolds. The above schematic of a hand is for me and others who are not as knowledgeable about the hand as this bartender is. A Chili Colorado at this establishment is a plate of sirloin tips in spicy red sauce wrapped in corn tortillas. Colorado, after all, means red. 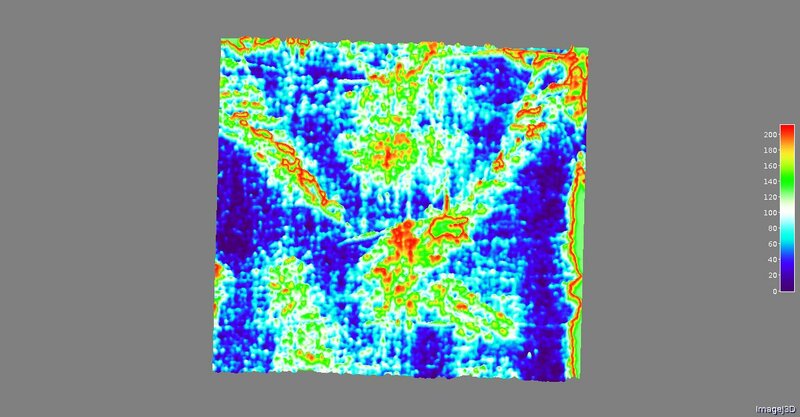 … The TSC research team has studied a broad spectrum of photographs of the Shroud hand area executed with different lighting approaches and technical equipment. The team has judged from their extensive studies, joining others who have reached the same conclusion, that the metacarpal bones & the left hand of the body can be observed extending all of the way to the wrist area…. Bartender: A wordy way of saying “We think we see.” And it has that “4 out of 5 doctors agree” like spiel you find in herbal remedy ads. There is no there-there in the statement. … These metacarpal bones are hard to observe in front-lit positive and negative photographs of the Shroud. 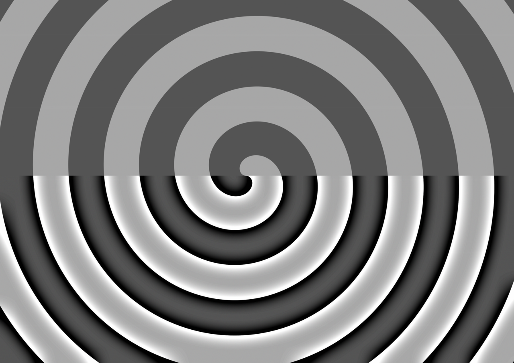 They are somewhat easier to detect in ultraviolet photographs, backlit photographs and contrast enhanced images…. Bartender: Why is that? Without the why this means nothing. Without why it argues for a pareidolia explanation. Me: It would be nice to see all these photographs in a convenient array so I could see if I agree. You have to admit these two photographs in the CS look convincing. Bartender: Not really. Hold your hand up there over your laptop keyboard, palm facing down. Now look at the top of your hand in the light of the screen. That’s a bit of raking light there and you can see the metacarpals all the way to the wrist. I can’t say an artist wouldn’t paint this. Nor would I say it isn’t something you’d get with one of Colin Berry’s contact imprinting methods* or even something that might not show up in an unknown ancient photographic technique. There is something going on here but it doesn’t mean it applies to only one rather wild and crazy scheme of a cloth falling through a dematerializing body. The Xs on the chart are highly subjective, highly debatable, highly counter-argumentative. … Perhaps the metacarpal bones are easiest to observe in edge-enhanced photographs. The work of Dr. Alan Whanger and Mary Whanger has made a significant contribution in this area. The Whangers used a technique of image-edge enhancement for the hand images that show the metacarpal bones quite clearly (see References for a full-length book published by the Whangers and a paper published in Applied Optics that document the Whanger methodology)…. Me: It’s been years since I read it. Bartender: Edge enhancement is pretty iffy stuff. The picture [above in yellow] looks like a pseudo-3D made by offsetting negatives on top of one another or maybe using PhotoShop edge methods. [see Wikipedia on Edge Enhancement]. It generates artifacts. Yes that is a pretty convincing when looking at the picture in an unquestioning way. Why do people only ever show the pictures that seem to support their theories and never all the pictures that don’t. 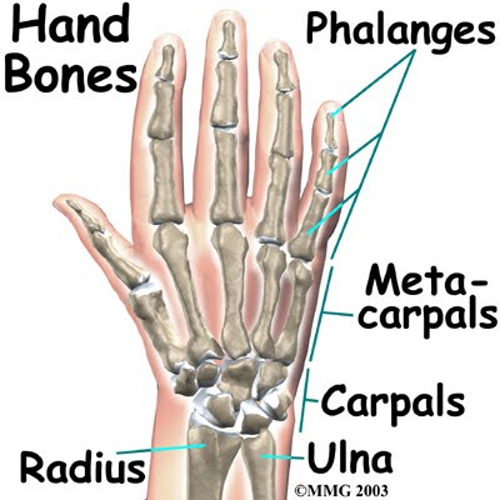 Rub your fingertips across the metacarpal bones on your hand. Can you imagine some rubbing technique that would bring them out in a picture? Easily, right? Or look at photos of hands. They really are part of the visual feature. It doesn’t take a cloth falling through a body to make them part of the image. … Similar techniques employed by the Whangers have suggested facial bones and images of teeth can be identified In the Shroud facial image. Personally I think the boniness is prima facie evidence for imprinting by a contact process [rather] than one by radiation. With a contact process, it is just those parts of each finger that are approximately in the plane of the linen (i.e parallel) that make best contact, especially if there is applied pressure, and that is the top surface. One has only to go a few mm below that topmost plane, and the curvature of the finger means progressively less contact and pressure. There is also the likelihood of a tenting effect across the fingers that means poor imaging between the fingers. Now look at the Shroud image and you will see precisely the kind of shadowing one would expect. 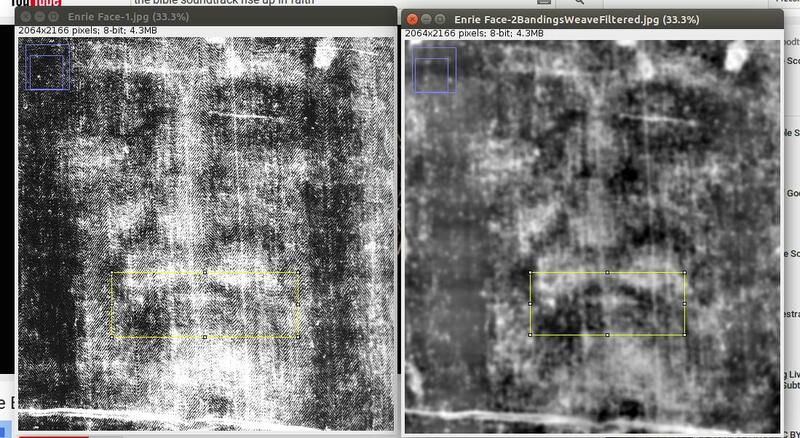 Guest Posting: The Shroud of Turin – An X-Ray? The first what I think Dan, is that the Shroud image must be carefully analysed, by those who really have experience with it. And no hasty and too far-reaching conclusions should be made without carefully thinking eveything. or just look on mine. It is hard to interpret 3D plots of such tiny details, due to several issues I mentioned in my last paper. 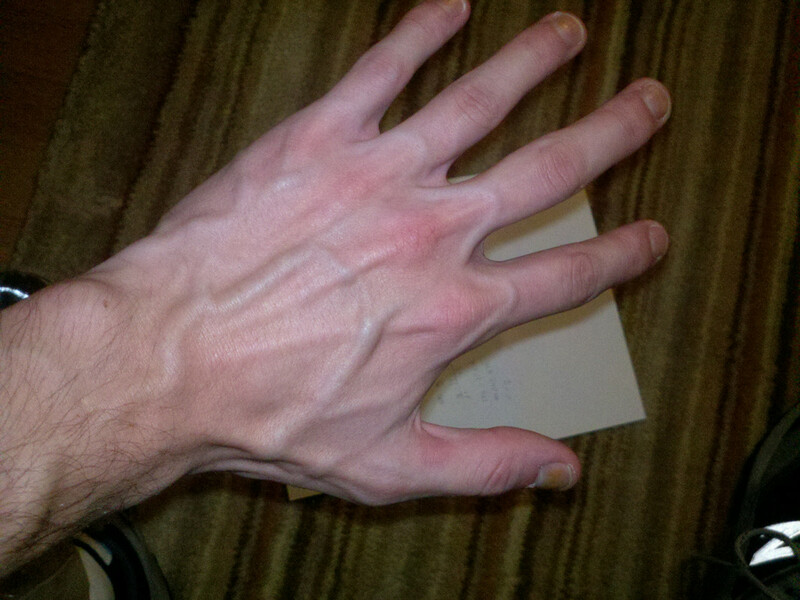 Some gaps between metacarpals seem nevertheless evident. The point is: how deep they are. The maximum range for imaging is in my opinion (based on analysis of distances of my facial features), as well as Vignon’s no more than 1-2 cm (Jackson & Jumper 3.7 cm is clealry untenable). Based on 3D plot we see that the metacarpal gaps have a greyscale intensity of ~ 90-100 (they are white), while metacarpals, and fingers are about 150-160 (green-yellow). This would indicate level difference of maybe ~5 mm. Quite possible, especially for dehydrated hands. No X-ray is needed here. Anyway, as to the teeth images, they are real. They are just where they suppose to be. But this does not mean that Shroud has X-ray properties. No, the reason is simpler and much more terrible; the rictus grin due to the tenure muscular spasms as result of of extreme strain and suffering during crucifixion. Though the teeth are clamped, the lips are open due to the spasm, resulting in visible teeth. Hey O.K. 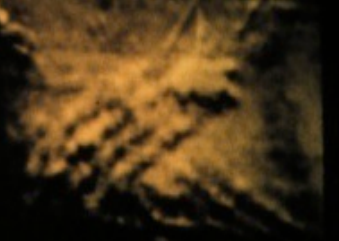 I to am pretty convinced teeth are visible on the Shroud image, but the image where they are very clear is this one in my opinion..
You can see the row of teeth behind the bottom lip..Very unlikely that this would be pareidolia. Also I do have to say it does look like the teeth are showing through the bottom lip they aren’t imo visible because the lips are open they don’t appear to be open at all. “They are really there.” I fear I am of a different opinion. I don’t know what your lower picture is about, Hugh. It shows nothing to me. Nor me! It was an attempt to relate some real teeth to the markings on the Shroud, but it didn’t work. Can you do something? Only a couple of them are clearly visible. But this is enough to reconstruct the outline of a few others. Yes, I see your interpretation. I personally don’t think it is anything but pareidolia, but I dare say others agree with you. Hugh, if those are not teeth, then what are they? 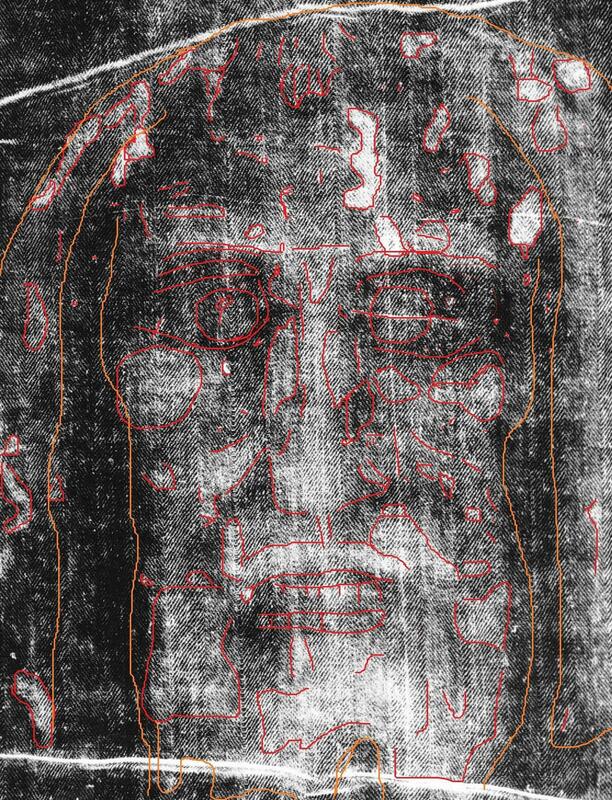 Actually if you read my paper on 3D, you should realise that the whole Shroud image is in fact one great pareidolia -or illusion. The image is halftone, made of “dots” of different sizes, made of bundles of fibers roughly the same colored. These dots give the impression of body image and its various features: hands, fingers, hair, face, nose, eyelids and teeth. But physically, they are nothing but dots. Our mind gives them interpretation. Oh Boy, I am not a scientist. My skills are as knowing that it is easier to find your way around in the daytime with the light somehow provided by the Sun than it is at night time with or with out moon light (reflected sun light). As I had said before, I do not see coins covering the eyes but I do see the pupils of the eyes. 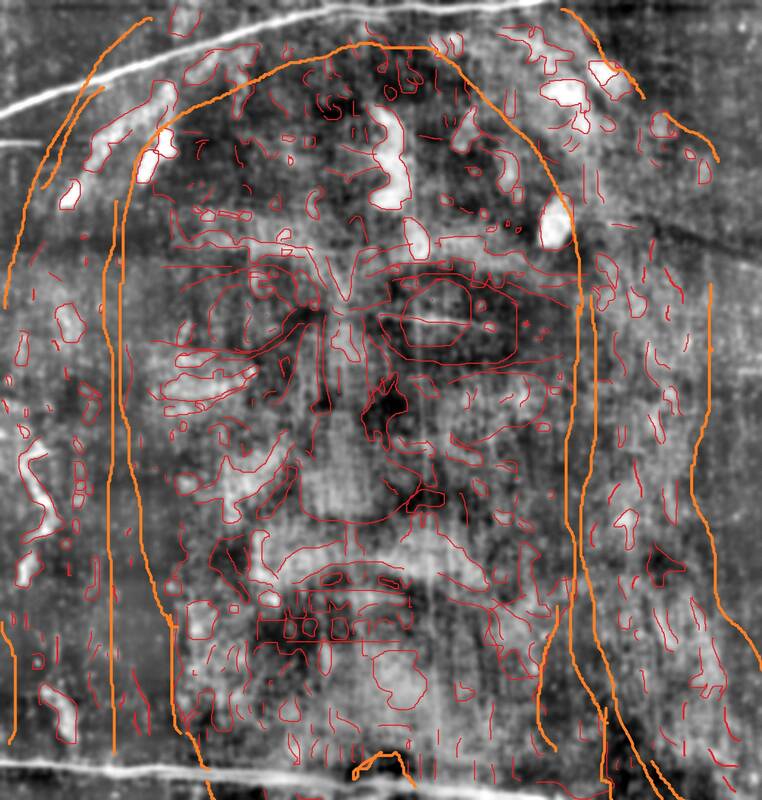 As others I can see the teeth image, and what almost appears to be some x-ray effect in some of the body image of Jesus. I have just accepted the fact that what I see is the remaining image the all powerful infinite Soul of Jesus Christ as it is entering and restructuring (instead of a mostly physical body with the God Soul it is being changed into a mostly God Physical body with the God Soul) the body and whatever the energies /forces involved they also produced the image on the cloth that everyone wants to fight about. So many people are just sure that the Shroud is photo of a painting of a photo that was sprinkled with some residue gathered from all around the world. They are sure that anyone believing that God had anything to do with Shroud are nuts. They are trying very hard to get to the bottom of this so-called con job. I think the difference between pareidolia and a true representation is that a representation is intended to resemble, or has been made by, the reality it depicts. A painting of the Mona Lisa looks like the Mona Lisa, and a shadow on a wall looks like the tree that caused it. 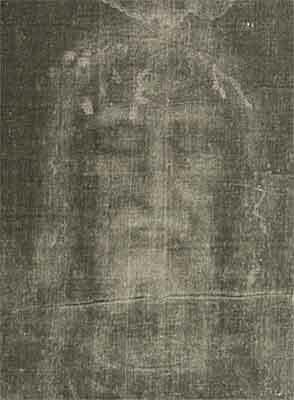 The man on the shroud either left a representation of himself – consciously or unconsciously – or was depicted by an artist who wanted to create an image of that man. On the other hand a cloud which looks like an elephant is a pareidolia, and the shadow of a tree that looks like an octopus is another. 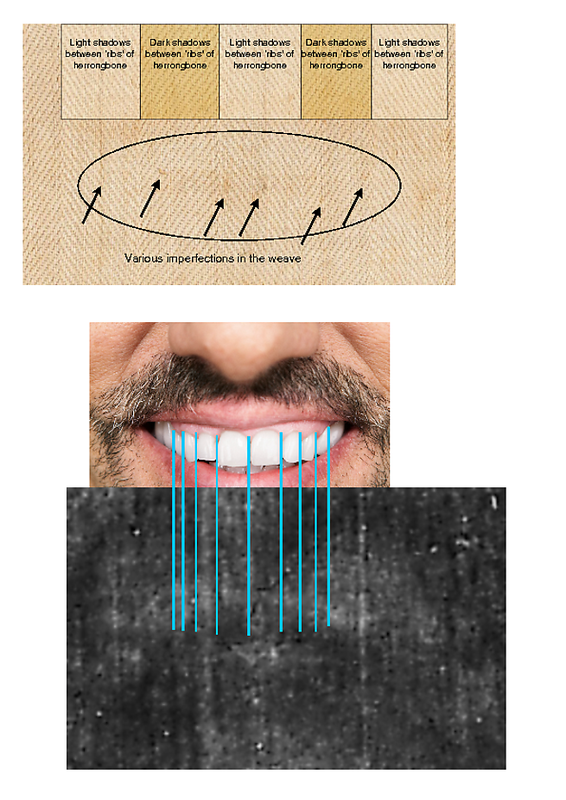 If the teeth on the Shroud were caused in some way by actual teeth, then they are not pareidolia, but accurate observation. If they are mere artefacts of the imperfections on the cloth, then they are pareidolia. The image of the man is not pareidolia unless it is a random collection of discolourations which coincidentally resemble a man. The fact that an image is made of halftone dots, paint or photographic emulsion does not make it pareidolia, in my opinion. It would be a wrong use of the word to apply it to a published photograph of an easily recognisable scene or person, and yet the photograph would almost inevitably be made up of a series of closely spaced dots which the eye resolves as a clear pattern, as a result of an artifact of the printing process. An ink-jet printer in fact produces a similar result but on a much finer resolution. This is fairly close to what we see on the Shroud image. 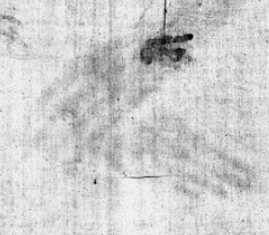 However to see writing on the Shroud as some have asserted, would quite likely be a true pareidolia, if in fact the writing was not truly there. The reports of a face on the surface of Mars resulting from mountain shadows is clearly a case of pareidolia. But merely because the eye is capable of resolving a series of dots into a coherent image is not sufficient for the image to be classified as a pareidolia, if in fact it is a true representation of an objective reality.